Friends, so many of you said you wanted more details about how to save and plan for traveling internationally with your kids, and I’m super excited to share some details today. There’s this weird thing where I feel like people are really hesitant to share their costs. And I get it! It’s personal, and you don’t want others to think you’re a spendthrift or a cheapskate. But I’m here to tell you it’s okay to be open. It’s okay to share. It’s okay to TALK ABOUT MONEY. So here’s how we spent 2 weeks in Italy in the middle of high season for under $4,000 for our family of 6. As some of you may remember, we actually spent 10 weeks in Europe, but the flight costs I used include our long-hauls into Rome and home to California from Paris. (I just went off the assumption that prices home from Rome would’ve been similar as those home from Paris.) That’s all to say that these prices are really what we would’ve spent ALL IN if we’d only gone to Italy for the 2 weeks. ANYWAY, if you get bored out of your mind by nitty gritty cost analysis, then you may want to bow out now. But if you want a transparent look at what we actually spent, and insight into how we made this happen, then read on! This was one of our biggest categories. We used miles to fly to Europe and back, but there are always a few taxes that you still have to pay on reward flights. The taxes for 5 people came to $331.05. For Anssi, since he didn’t have a seat, we had to pay 10% of the adult fare for an infant. That amount actually came to $749.11! If we’d had enough miles, we would’ve just gotten him a seat, and his amount would’ve been $66.21 instead. But since we didn’t have enough miles to do that, we had to pay the 10% (which, it turns out, is quite a lot when paying based on a full-price ONE-WAY flight. It would’ve also been cheaper had we had round trip tickets, but we were flying into one airport and home from another). Still, $1,080.16 total for 6 of us round trip to Europe from California in the summer ain’t bad. This was THE biggest category for us, and also the one that has the most flexibility to save. We were there in June, right at the height of tourist season. Since we were going to be in Europe for so long, we scheduled it during the summer since that worked best for our family schedule. But if you were to go in off season, I suspect you could get a significant discount on places to stay. – Italy tends to have bigger swings than other places for high season vs. low season. High season tends to be rather pricey, especially when staying close to major sites. Because of all this, we decided that for Italy, at least, we would be okay with paying a bit more to stay at decent Airbnbs in great locations. Walkability was highly important to us here, as we wanted to do a lot of wandering and have sites be easily accessible. Oh, and we did stay entirely in Airbnbs while in Italy, which was not true for some other countries. Airbnbs tended to have the best locations, washing machines, and were big enough for all of us to stay. (Here’s a link for $40 off an Airbnb stay). 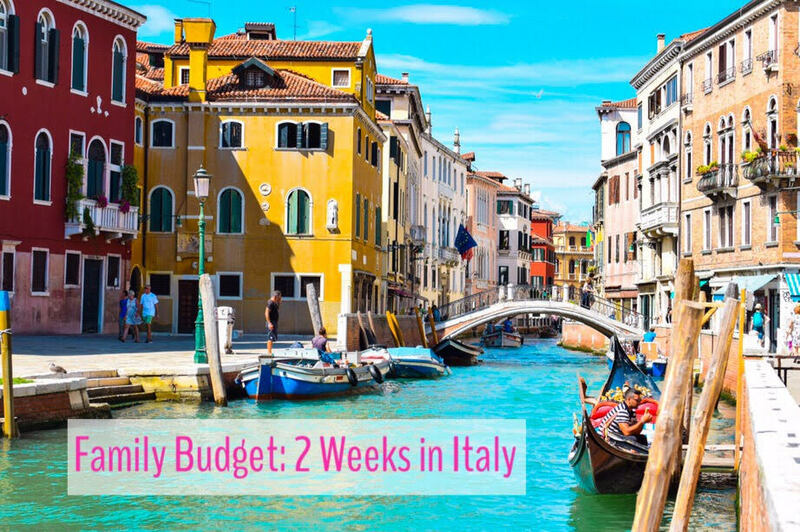 With all that, we averaged just over $170/night for our time in Italy – still not terrible for a family of 6 in the height of tourist seasons in very popular cities. This was another category where we gave ourselves a bit more leeway than the way we normally travel. We cooked significantly more meals in other countries than we did in Italy. Why? Because Italy is delicious. We knew we’d love the food, and that was a big part of our travel experience. Plus, again, it was our first stop and we were getting over jet lag and wanted to see a LOT in not a lot of time, so we gave ourselves some grace. This number includes restaurant/cafe meals, grocery store visits, snacks, and a zillion scoops of gelato. Typically, we budget $100/day or so for food. Some days are more if we have a nicer meal, and some days are quite a bit less. On past big trips, we’ve averaged out to around $70/day (with younger kids, of course). Italy came to about $110/day. I’m still pretty pleased with that considering how much food we did experience. I’m curious to see how the other countries netted out, as well! We really enjoy doing a mix of paid and free activities in any given city. We’re not going to pay for every single thing, but this is also not where we tend to limit ourselves. We don’t do extravagant things (there was no hot air ballooning over the Tuscan countryside, in case you’re wondering), but we will never not go to a museum or historic site because of cost. If it’s something that’s relevant, interesting, unique to the place, and (hopefully) somewhat educational, it’s always at least on the table for us. Most of this category was spent on museum tickets, although the kids were almost always free. More expensive activities included the Vatican, the Uffizi, climbing the Duomo, and a gondola ride in Venice (worth it). We really wanted to do a cooking class, but the schedule changed at the last minute so we weren’t able to fit it. Next time!! I’m actually surprised we spent even this much on souvenirs, but then I forgot I got a gorgeous leather tote bag in Florence. The rest was spent mostly on children’s books (our souvenirs of choice), a few of which the kids purchased themselves with their family economy money (but I included the totals in here for reference). There were a couple other tiny things – a small olive oil jug from a woman in Pienza whose family had been making them for centuries, cacio e pepe seasoning, an ornament, and a couple small gifts. We paid for half an hour of Internet on our trans-Atlantic flight (to book our Vatican tickets before they sold out), and paid for a potty stop. So how is it under $4k, then? AIRBNB. You guys, it’s a bit of a pain to organize and manage cleaners coming each time, to tidy your house and store away any valuables, and to find and pay someone you trust supervise/manage everything. Our net expenditure during this time was $3,920.26. Certainly not cheap, but, frankly, probably cheaper than a multi-day trip to Disneyland. And we love Disneyland! But I hope this helps you to see that it’s not the only option. That far-flung places are NOT out of the question with a family, and that it can maybe be realistic for you, too. I hope this was helpful, and let me know if you have any questions! Thanks for sharing what so many people aren't willing to share. I'll be watching for your Airbnb post. Great and honest post, I love when people share budgets like that gives you an idea on how much travelling to specific location can cost. 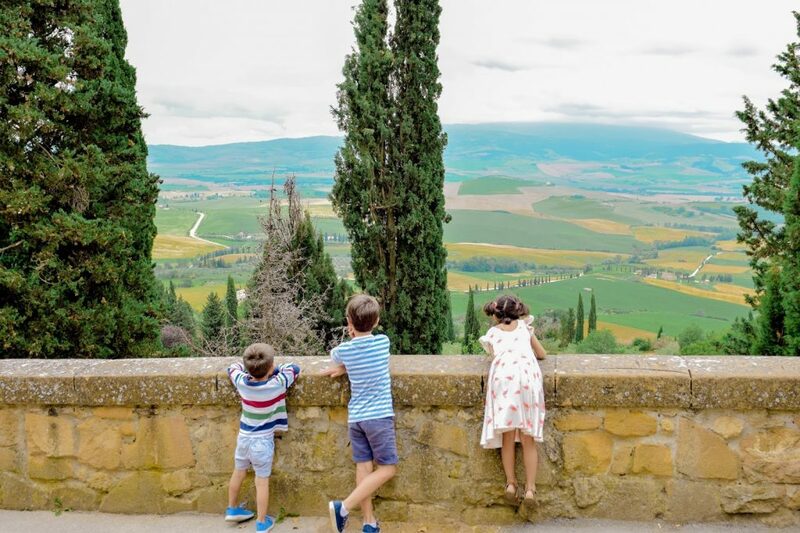 Surprised you spend so little on food in Italy I remember spending much more and that’s without the kids �� would love to read your post on Airbnb hosting. Great blog ! Love this! Thanks so much for putting it out there! When we lived in NYC we were able to rent our apartment via airbnb and it was awesome. Now that we live out in more suburban (slightly rural) area I'm not sure if we'd have much interest in our home. But it's something I think about often. 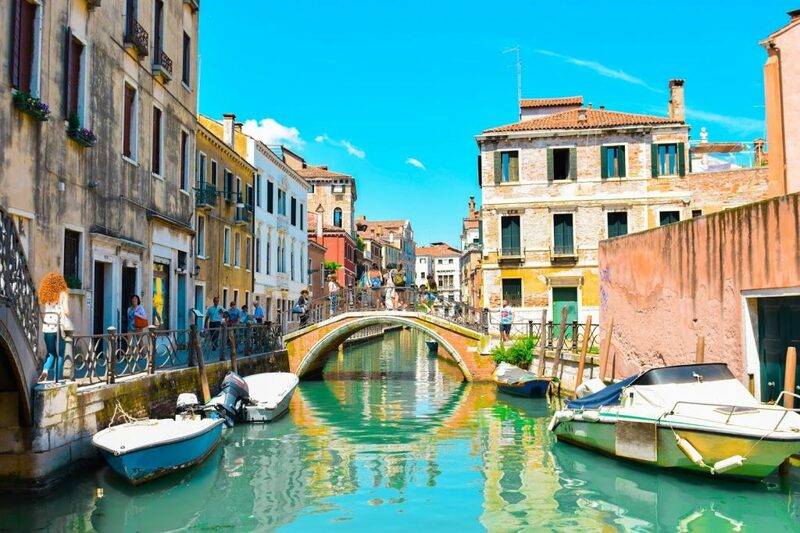 �� My husband and daughter were able to do a week in Italy last April and spent about $1500, which was awesome!